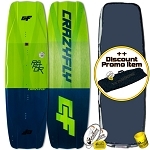 At WindBone Kitesurf Paddle & Hobby, Customer Satisfaction is priority one - Please use the form below to contact us with any questions, comments, and/or issues for immediate attention - we will do our best to uphold complete satisfaction.. Note: All messages will be read & processed ASAP - typ response time within 24 hours or less. Please check SPAM filters and add email address: [email protected] to your "APPROVED" list in order to avoid response messages being lost into spam. Can also email us at [email protected] direct.